View of square multi-storeyed buildings clustered close together in the city of Abha. Some of the buildings are topped with adobe and parallel lines of raqf (slate) tiles. 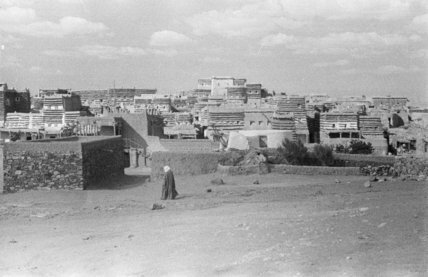 In the foreground a man walks through a large open area in front of the buildings.